Be sure to head over to Rescue Me Coffee Company website and sign up for your subscription of coffee to be delivered straight to your door - rescue dogs, support farmers in South America and live longer - Great deal!!! 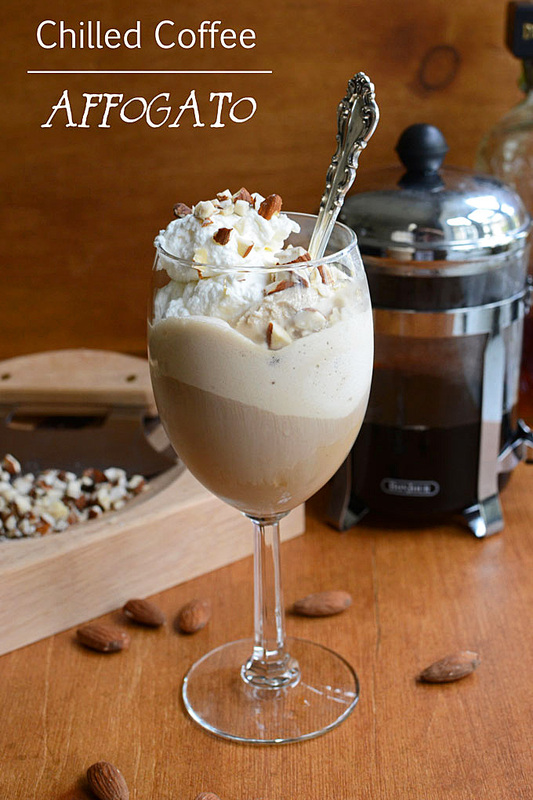 by http://thewellflouredkitchen.com/2014/07/18/chilled-amaretto-coffee-affogato/ thank you for this early summer treat! In a large bowl beat the heavy cream and 1 tablespoon Amaretto until soft peaks form. Into each wine glass or desired serving dishes, pour 1/4 cup chilled coffee and 1 tablespoon amaretto. Add two scoops of ice cream to each glass, and top with whipped cream and nuts. Serve immediately. This Full Moon Fire Ceremony will guide you in creating intentions, setting goals, releasing and manifesting during this time of the full moon of November 2017. The purpose of this workshop is to gather with like minded individuals in a Sacred Space, to share, learn, love and grow spiritually while creating the life you desire. There will be a sharing and opening of the circle, a guided meditation, talk about selected healing crystals their energies and how to best use them, Divine Oracle Cards and a written release of what no longer serves you to place in our sacred fire and then what it is that you wish to manifest instead, a sharing of the current global energies and how best to navigate these times and an intuitive messages with the closing of the ceremony. Ceremony will be held in the garden under the full moon and candlelight, please bring appropriate clothing and a blanket or cushion for your comfort. $25 cost includes all materials and supplies, one free drink (tea or coffee), crystal kit. Call 805-801-7002 to reserve your space & prepay, walk-ins are also welcome. A curated mix of invited (featured) storytellers, open mic for novice storytellers, spoken word artists, improv comedy, character sketches, impromptu pitches and interactive games! We’re creating a space for wordsmiths, storytellers and awesome communicators of all kinds to work their material in front of folks who delight in all things well told. features a new theme and different mix each month… Come to participate and / or just sit back and enjoy! Join Us at Top Dog Coffee Bar for a Special Event! This Full Moon Fire Ceremony will guide you in creating intentions, setting goals, releasing and manifesting during this time of the full moon of October 2017. The purpose of this workshop is to gather with like minded individuals in a Sacred Space, to share, learn, love and grow spiritually while creating the life you desire. Hey Brutha, Can You Spare a Cup of Joe? Enjoy a FREE 8-ounce cup of coffee for the first week. The kiosk features our signature drip coffees, as well as our fabulous espresso drinks and grab & go fare. Get your caffeine fix in frozen form with these cappuccino popsicles! Bring 1 cup of water and sugar to a boil in a saucepan, cooking until sugar dissolves. Cool for a few minutes and then stir in the corn syrup. Reserve ¼ cup of this sugar syrup and set aside. Mix the remaining sugar syrup with the espresso powder while it is still warm. Cool to room temperature. Combine the almond milk with the reserved ¼ cup of sugar syrup. Whisk the cinnamon into the milk mixture. Divide the milk mixture among 8 ice pop molds. Divide the espresso mixture evenly among them. Cover and insert popsicle sticks. Freeze for 6 hours or until frozen. From 7p.m. ‘til 9:30ish p.m.
Only for the fun loving! The length of the shot can be ristretto (or stretto) (reduced), normale/standard (normal), or lungo (long): these may correspond to a smaller or larger drink with the same amount of ground coffee and same level of extraction or to different length of extraction. Proportions vary and the volume (and low density) of crema make volume-based comparisons difficult (precise measurement uses the mass of the drink). Typically ristretto is half the volume of normale, and lungo is double to triple the normale volume. For a double shot, (14 grams of dry coffee), a normale uses about 60 ml of water. A double ristretto, a common form associated with artisanal espresso, uses half the amount of water, about 30 ml. Ristretto, normale, and lungo may not simply be the same shot, stopped at different times[ – which may result in an underextracted shot (if run too short a time) or an overextracted shot (if run too long a time). Rather, the grind is adjusted (finer for ristretto, coarser for lungo) so the target volume is achieved by the time extraction finishes. A significantly longer shot is the caffè crema, which is longer than a lungo, ranging in size from 120–240 ml (4–8 US fl oz), and brewed in the same way, with a coarser grind. The method of adding hot water produces a milder version of original flavor, while passing more water through the load of ground coffee will add other flavors to the espresso, which might be unpleasant for some people. The size can be a single, double, or triple, using a proportional amount of ground coffee, roughly 7, 14, and 21 grams; correspondingly sized filter baskets are used. The Italian multiplier term doppio is often used for a double, with solo and triplo being more rarely used for singles and triples. The single shot is the traditional shot size, being the maximum that could easily be pulled on a lever machine, while the double is the standard shot today. Single baskets are sharply tapered or stepped down in diameter to provide comparable depth to the double baskets and, therefore, comparable resistance to water pressure. Most double baskets are gently tapered (the "Faema model"), while others, such as the La Marzocco, have straight sides. Triple baskets are normally straight-sided. Portafilters will often come with two spouts, usually closely spaced, and a double-size basket – each spout can optionally dispense into a separate cup, yielding two solo-size (but doppio-brewed) shots, or into a single cup (hence the close spacing). True solo shots are rare, with a single shot in a café generally being half of a doppio shot. In espresso-based drinks, particularly larger milk-based drinks, a drink with three or four shots of espresso will be called a "triple" or "quad", respectively. 1. Measure the amount of cold water you will need. 2. Place your pot of water on the stove and turn the heat to medium-high (just until the water heats up). 3. Add about 1-2 heaping tea spoons (or 1 tablespoon) of coffee per demitasse cup (3 oz). Do not stir it yet. Just let the coffee "float" on the surface because if you stir it now you might cause it to clump up. 4. Add sugar to taste. Do not stir it yet, Let the water warm up little bit as above. 5. When the coffee starts to sink into the water and the water is warm enough to dissolve your sugar, stir it several times and then turn down the heat to low. You should stir it several times, up until your brew starts to foam (you can also vigorously move your spoon side to side to encourage to start the foaming). 6. When you see the bubble "ring" forming on the surface, turn down the heat a little bit more or move your pot away from the heat source. Pay attention to the bubbles that are forming at this stage. Bubbles should be very small in size. 7. From this point on watch your coffee carefully. Do not let the temperature get hot enough to start boiling. (NEVER LET IT BOIL - many instructions on how to make Turkish coffee use the term "boiling" but this is totally inaccurate) The key idea here is to let the coffee build a thick froth and that occurs approximately around 158 F or 70 C (i.e., much cooler than the boiling point of water which is 212 F or 100 C at standard pressure. If your brew comes to a boil, you will not have any foam because it will simply evaporate!). 8. Keep it at the "foaming" stage as long as you can without letting it come to a boil. You might even gently stir your brew a little bit at this stage. The more froth, the better it will taste. Also your coffee must be fresh or it will not foam as well. If your brew gets too hot and begins to "rise", then move it away from the heat or just turn it down. You are almost done. Repeat this process until your foam has "raised" and "cooled" at the most couple of times (NOT 3-4 times like some instructions. Even once is enough). Then pour in to your cups (quickly at first to get out the foam, then slowly) while making sure that each cup has equal amount of foam! If you are serving several cups then you might be better off spooning the foam into each cup. Sheet mulching is a great way to convert any grassy or weed-riddled area into a rich garden bed by layering compostable material over the area and allowing it to sit for several months. This mimics nature’s organic cycle of accumulating fallen leaves that decompose over time, untouched, blocking out sunlight to prevent weeds from sprouting. It is also a wonderful landscaping technique. Mow or cut down all existing plants that you don’t want to keep and pile them on top of the site. Begin by adding a layer of manure if you want to get a quick start with decomposition. This is full of micro-organisms to break down vegetable matter. Soak the area well with water along with your natural fiber burlap bags. Lay the bags out to block sunlight out. The material will still allow air and water to flow through freely. Let them overlap just a little to be sure there are no breaks in between unless going around existing plants you intend to keep. These plants will need an opening around the root crown for air circulation. More compost goes on top of the burlap to feed new and existing plants. If this is a decorative mulch bed without plants, you can skip this part. Add three to five inches of mulch. This can include compost, grass clippings, seaweed, small branches from pruning, wood chips, or straw. However, most people prefer the look of wood chips or pine straw for the top layer. You are ready for new plants or seedlings along with some garden soil. As mulch biodegrades, you will have to add more to protect the soil and maintain the appearance. Your plants should thrive with proper watering. Burlap is a jute fiber product that has been around for ages. Untreated burlap is chemical free and safe for the environment because it is made from the jute plant. Sheet mulching is just one way to use it in landscaping and around the house. Adjust oven rack to middle position and preheat oven to 375°F. Spray standard muffin tin with non-stick pan spray. Sift flour, cocoa, baking powder, baking soda, and salt into medium bowl; set aside. In large bowl, whisk sugar with eggs until light, about 30 seconds. Whisk in oil, milk, vanilla, and espresso until combined. Whisk dry mixture into wet mixture until just combined. Stir in 1 cup chips. Evenly divide batter between muffin cups and sprinkle with remaining chips. Bake until set, 17 to 19 minutes. Let muffins cool in pan 15 minutes, then remove muffins from tin and place on wire rack to cool. The Swiss Water Process (SWP) is a non-solvent method for decaffeinating unroasted coffee beans. It was introduced by Coffex in 1979 and was, at that time, the only commercial decaffeination method that did not use solvents. The Swiss Water Process has quickly become one of the most popular methods of decaffeinating specialty coffee. It is not so called because the water itself is Swiss, but instead because the process was developed in Switzerland. In this process, the coffee beans are soaked in cafeine free green coffee extract so that the caffeine is extracted from the bean and into the water yet the flavor components remain. The now caffeine saturated green cofee extract is then processed through activated charcoal to remove the caffeine and thus becoming caffeine free again ready to extract caffeine from a new batch of coffee. The coffee beans are then dried to their originating moisture level and re-bagged. The Swiss Water Process results in coffee that is 99.9% caffeine free. In other methods of decaffeination, the caffeine is recovered from the mixture, and sold separate from the coffee. The only way to capture caffeine is through the introduction of some sort of volatile solvent (methylene chloride or ethyl acetate) such that the caffeine will attach to the solvent and then be dehydrated. However, in the Swiss Water Process, no chemcials are used, therefore the cost of this process is slightly higher than other solvent-based processes. Which Has More Caffeine, Light or Dark Roast? For most of us, drinking a cup of coffee is about getting that jolt of caffeine. But are you drinking the right roast to maximize your buzz consumption? Chances are, probably. There’s a common misconception that dark roast has more caffeine than light roast because it’s darker. Other folks believe that light roast has more caffeine than dark roast because caffeine is lost when beans are roasted. Both of those schools of thought are wrong because all roasts of the same bean have basically the same amount of caffeine. Caffeine is actually extremely stable during the roasting process. The effect of roasting on caffeine is so minimal it can really only be observed in a controlled laboratory setting. Light roast, dark roast, medium roast, it will all pretty much get you equally caffeinated. Unless, that is, you’re drinking different species. There are two main coffee species that are cultivated in the world: Arabica and Robusta. Arabica is more expensive and tastier. Robusta is harsher and cheaper. But Robusta generally has more caffeine. An average morning cup of Robusta coffee (about 12 oz.) could contain anywhere between 232 to 800 milligrams. And an average cup of Arabica would contain somewhere between 84 and 580 milligrams — that’s about half the caffeine content of Robusta. The higher caffeine content actually makes Robusta less pleasant to drink. So our takeaway is: pick the roast based on your taste preference — light roast has a brighter flavor and is more acidic, dark roast is smoother — and don’t try to judge its caffeine content from its roast. Use burlap to help control erosion on steep slopes. Cover plants with it to provide a few degrees of frost protection. Burlap is the perfect material for wrapping evergreens prone to damage from the weight of heavy snow. Use it to move heavy objects. When filled with compost and tied at the top, a small square of burlap serves as an excellent soaker bag for brewing compost tea. Small pieces of burlap can be used to cover the drainage holes of pots before adding soil mix. Because they're porous, burlap bags are great for storing onions and potatoes. Wonderful food, great beer and wine-and you!! In 1824 Thomas Jefferson deemed coffee "the favorite drink of the civilized world." Jefferson enjoyed the coffee houses of Williamsburg and Paris, and served coffee at the President's House, Poplar Forest, and Monticello. He preferred beans imported from the East and West Indies, and abhorred the "green" or unripe beans that were popular in America at the time. "On one measure of the coffee ground into meal pour three measures of boiling water. Boil it on hot ashes mixed with coal till the meal disappears from the top, when it will be precipitated. Pour it three times through a flannel strainer. It will yield 2 1/3 measures of clear coffee." Coffee was served at breakfast, and likely after dinner, in a silver coffee urn made to Jefferson's design.